Literally, this dish will take you 5 minutes to make!! Slice mushrooms in thick pieces about 1cm. And heat the wok with oil. Throw in onions and garlic and let it cook off for a minute, then add the mushrooms and stir frequently. 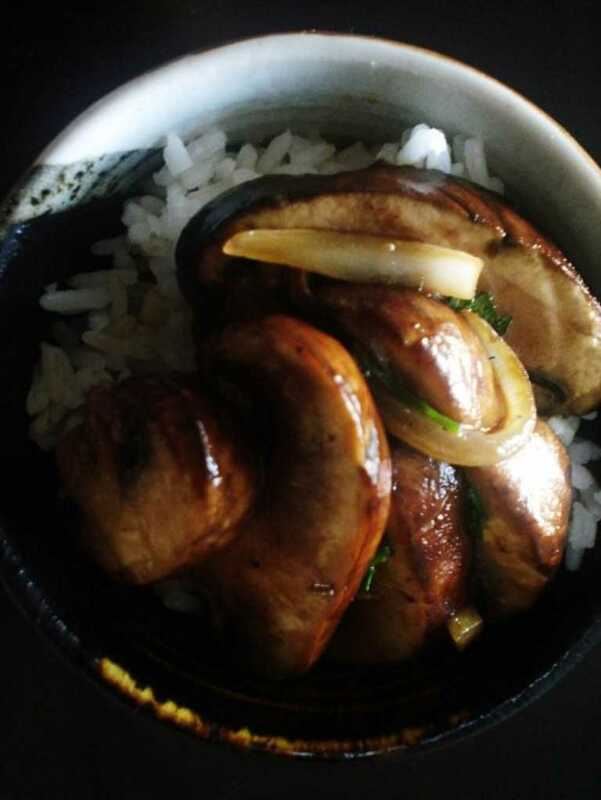 The mushrooms will absorb the oil and when it's slight brown add the oyster, fish and kecap manis sauces and stir so mushrooms are well coated. After a minute or so throw in the coriander and stir for few seconds. Turn off the heat and serve it with some rice.